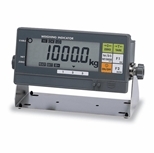 Adelaide Weighing Equipment - “The best in every WEIGH"
Adelaide Weighing has many years of experience in all forms of weighing equipment & scales. Through this experience, we have set very high standards in all aspects of weighing. From weighbridge servicing and re-certification to supplying a complete range of weighing scales & systems. Adelaide Weighing offer experienced, professional and cost effective support & solutions for all your weighing requirements.